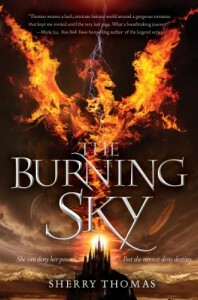 I mulled over how to write my opinions of The Burning Sky for a long time, not quite knowing how to start or what to cover. All I have are random thoughts here and there about what I liked, what I didn't like, and what gravitated towards "I'm not sure how to take this". I love reading fantasies. I love adventures. To be sucked into a wonderfully created world and live an interesting adventure is always so satisfying, so magical... so wonderful. But I won't say I'm an expert at fantasy or high fantasy novels/books. I'm not the best at picking out logic flaws and world building flaws, but I DO know when I love a specific fantasy world built so well that you wish you could live there (like in Harry Potter, for example). 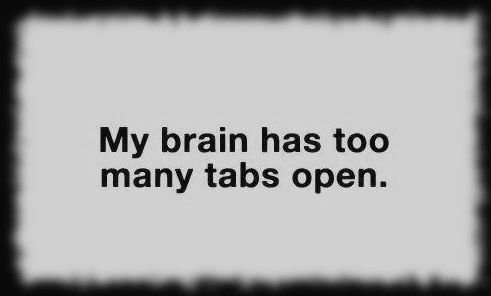 In the end, I just couldn't figure out how to structure my thoughts. While I've heard that others have felt the book starts off slow, I actually enjoyed a good chunk of the beginning -- it felt progressive to me even if a lot of things failed to make the best of sense. The world felt like it was confusing to understand (though I eventually had an idea what was going on). At first I figured it to be too complicated for me to get all at once, but as I read through, it just felt like there were too many holes in certain places that I can't quite place. The progression of the story was enjoyable and actually kind of exciting. The characters were created brilliantly. I especially loved the friendship/romantic intimacy, tension, and witty banter between Iolanthe and Titus. When (and if) they finally act on their feelings, I think they'd make an awesome, powerful couple. The characters were created brilliantly, but also too perfect to be true. Sure, Titus had his dark and broody side and his "tragic" back history. Sure, Iolanthe was too stubborn for her own good. But the too of them seemed to be so good at everything they did that I started to forget that they are only sixteen years old. With the amount of wisdom that Titus possessed and the maturity that Iolanthe exudes, as well as both person's ability to handle all situations, dangerous or not, they struck me as being more adult than teenager. Side characters were also quite intriguing, but they didn't really stand out. I couldn't tell you anything significant about Wintervale or that other kid that Iolanthe hung out with all the time while pretending to be Archer Fairfax. On that note, might I mention that I LOVE cross-dressing plot devices? Nothing makes me more excited than a cross-dressing plot. Except that this one didn't exactly go the way I was hoping it would go. Nonetheless, the whole all-boys school, cross-dressing ordeal was still lovely to watch unfold. I appreciate that Iolanthe managed to impersonate a boy to perfection, but then that ended up eliminating a lot of those "OMG, I'm a girl disguised as a boy in an all-boys school and one wrong move could give me away" possibilities. There were no embarrassing moments, no "don't get caught by the boys while I shower" moments, no "oh my god, he's touching inappropriate places" moments... I don't know how I feel about that, because I both love and hate that Iolanthe was smart enough to perfect her role as a boy that no one ever questioned her. The magic system was confusing. I still don't really know how it works. The politics are also a bit flawed. But then again, I don't like following politics all too well. I liked Titus's mother's little diary, detailing all of her visions. I like that it remains a blank book until it's ready to tell the reader what to expect next. I'm interested in how that kind of magic works, though I'm not sure if we'll just get a case of: it just DOES. I don't like the idea of fate being written for each person's lives as an absolute. If all the visions come to pass unfailingly, then there is no need for human action or choice, though that may contradict the whole intent of fate. I'd like to believe that our heroes will be able to counter some of these visions that are being predicted and not be tied to their given fates. My final comment for this book though, is that I enjoyed Iolanthe and Titus so much that I suddenly realized that I'm anticipating the next book a lot more than I had expected. I just need to either give in and imagine these two the way I want to imagine them, or continue to try reminding myself that they are indeed still teenagers in an adult world of epic struggles. Also... I kind of like just listing out thoughts like this. I should do it more often.